The incident was triggered by an emergency 911 phone call late on March 18 stating that a man was smashing car windows in the neighborhood. 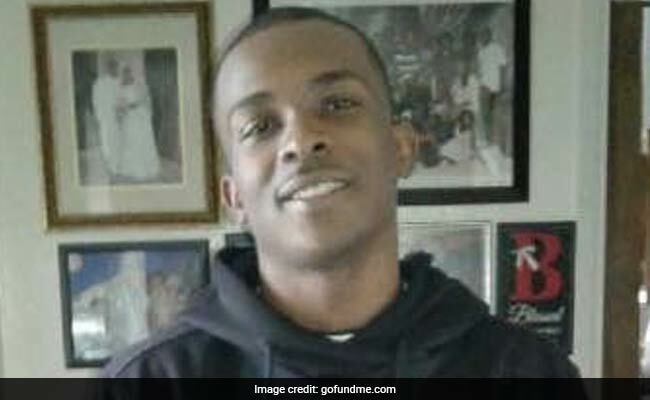 Los Angeles: Unarmed Californian Stephon Clark was shot eight times -- mostly in the back -- by police in Sacramento, according to a private autopsy released Friday that said he lay dying for several minutes. The Clark family attorney, celebrated civil rights lawyer Benjamin Crump, said the examination showed no entry wounds in the front of his body, demonstrating that the 22-year-old could not have been a threat to police. Crump told reporters Clark was "slain in another senseless police killing under increasingly questionable circumstances" after being chased to his backyard in the California capital by officers who fired 20 rounds. The review was conducted by high-profile pathologist Bennet Omalu, the former chief medical examiner in San Joaquin County, who is highly regarded for his work on football-related concussion. Omalu said in a statement he found "four entry wounds in the lower part of Stephon's back; one in the side of his neck, with an exit wound elsewhere in his neck; one in the back of his neck; one under an armpit entering from the side, with an exit wound on the other side of his body; and one in the outside of a leg." Clark appeared to fit the suspect's profile and officers chased him, backed by a helicopter equipped with infrared cameras. Clark -- who police say remains the prime suspect -- was recorded by the helicopter and police body-cams running through the neighborhood before entering his backyard. The officers burst into the yard with weapons drawn and confronted the father-of-two before opening fire. The officers -- one of whom is black -- were put on leave but days of disruptive protests followed the incident, which has revived a recurring debate over police abuses against African Americans. "The proposition that he was facing the officers is inconsistent with the prevailing forensic evidence," Omalu told a news conference in Sacramento. "He was facing the house, with his left to the officers. He wasn't facing the officers. His left back was facing to the officers." Omalu said it took three to 10 minutes for Clark to succumb to his injuries, emphasizing that "it was not an instant death."